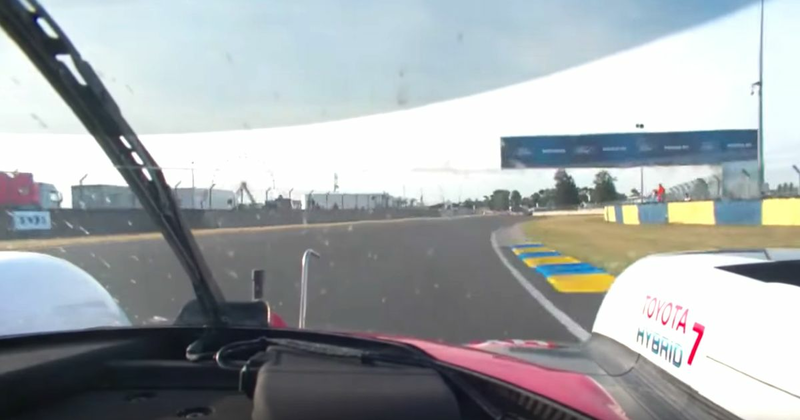 At Le Mans, a lot of different factors have to come together to allow a driver to put together something resembling the perfect lap. Last year, that’s exactly what happened for Kobayashi. The combination of ideal track temperatures, a lack of traffic, tailwinds on the straights and headwinds through the corners allowed him to set a time of 3:14.791. That’s the fastest lap of the current configuration of the circuit (bettering the previous record by more than two seconds), and only eight-tenths off the fastest-ever lap set in 1971 (by Pedro Rodriguez in a Porsche 917LH) when there was no Dunlop Chicane, no Mulsanne chicanes, no Porsche Curves and only one Ford Chicane. Watching Kobayashi’s lap back a year later is still just as mesmerising. The question is: will the record still stand past this year’s race, or will the bar get lowered even further?